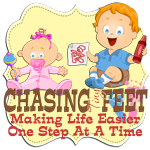 Chasing Tiny Feet: Martin Luther King, Jr. Day Free Printables! Martin Luther King, Jr. Day Free Printables! Who doesn't know Dr. Martin Luther Kings' great "I Have A Dream" speech? This year, Martin Luther King Day will be celebrated on January 21, 2013. Below are some free printables to help teach your children learn about tolerance and Dr. King's struggle for peace and equal rights through non-violent protest.